TC Group has appointed Owen Xing (pictured) as managing director of its Chinese division, TC Group China. Owen Xing, 34, has held managing positions in the music and audio industries for more than a decade, which makes him a perfect match for TC Group China that operates out of Beijing in the MI, install, touring, broadcast and production markets. Further, Owen Xing has a background as a guitar player and composer, which also ties in well with the core values of TC Group that is rooted in the passion for sound in all forms. 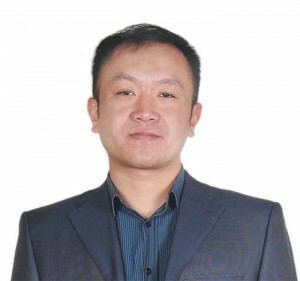 Owen Xing joins TC Group China at very exciting times, as the company has recently moved to a brand new location and established a dedicated sales company as well as an Asian distribution centre, all of which is due to continuous growth for both TC Group China and its key partners for years. With great products in the pipeline covering all of TC Group China’s business segments, the future looks very promising for the company. "I am pleased to welcome Owen Xing as our new managing director in China," says Anders Fauerskov, CEO of TC Group. "With his background in the industry, I am confident that he will be the right person for cementing our presence in China even further and take the business in our market segments to the next level. Considering his background in music in general I am sure he will also fit right into the spirit and mindset of TC Group, ready to present the many benefits of seeing sound differently to all of our partners in China." "I am very excited to be joining TC Group China," says Owen Xing. "I have been familiar with the brands of TC Group as well as its line of products for years and I strongly believe that the company has a great future in China as well as the rest of the world. I look forward to being part of that." TC Group China was established in 2002 and has been led by the former managing director, Robin Hu, right from the start. "I would like to thank Robin Hu for his great efforts in growing the Chinese market for us over the past 11 years. He virtually took it from being non-existing to becoming one of our most important markets. I wish him the best of luck in his future career," says Anders Fauerskov.